Fire sprinklers are an important part of your building’s fire protection equipment, and if your building ever does catch on fire, you’ll be grateful that you have sprinklers. Sprinkler systems can save you from costly fire damage, and they’re not only a good idea, they’re a requirement according to the Houston fire code. 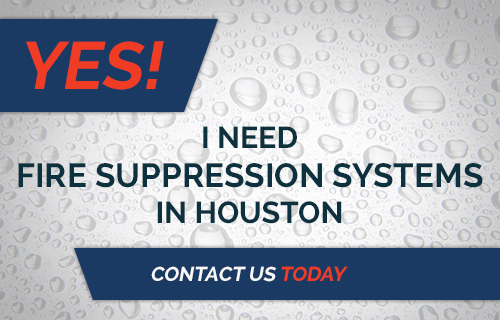 MLN Fire, a division of MLN Company, is here to serve businesses in Houston who need inspection, installation, and maintenance of fire protection equipment, and sometimes we run into people doing things they shouldn’t with their sprinklers. Here are some of the things you should know to avoid. You’re in a hotel and don’t have a convenient place to hang a coat hanger, so you reach up and hook it on the sprinkler head. You’re decorating the office for someone’s birthday and you need a way to hang streamers from the ceiling around their desk, so you attach them to the sprinklers. You put up a temporary screen or room divider and anchor it to the sprinkler heads on the ceiling. It doesn’t matter the weight of the item in question or whether you think that the sprinkler head can safely support it. Having any item attached to the sprinkler head is a safety hazard. It will prevent the sprinkler head from being able to do its job as designed. In the event of a fire, these foreign objects will disrupt the intended direction of the flow of water from the sprinkler, and your sprinklers won’t be as effective at preventing the fire damage. If you are a manager, it’s a good idea to have a written policy that tells employees not to hang anything from the sprinkler heads. If you are an employee, realize that your decision to hang something from the sprinkler heads goes against fire safety and can have serious consequences. 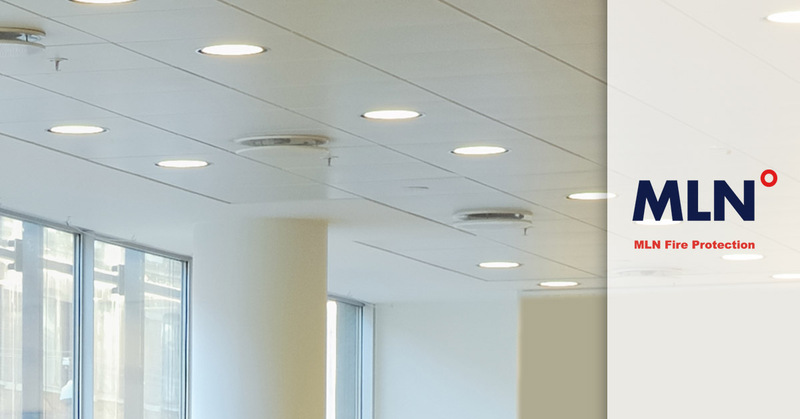 The great thing about sprinkler systems is that they operate invisibly and unobtrusively most of the time. Hopefully you’ll never need them and they can just continue to lead their hidden lives. However, it’s important to ensure that you don’t actually forget they’re there. Know where the sprinkler system water lines are located, and provide these diagrams to any contractor who does work on your drywall, wiring, or any other job that involves cutting through material where they might sever a line. Trust us, it’s an unpleasant experience if someone cuts through your water line. You’ll have water spraying all over until you can get it turned off at the main valve, and in the meantime, that water can create a lot of damage. Sprinkler heads don’t get triggered because of smoke; they get triggered because of heat. A sensor in the sprinkler head is designed to explode when it reaches a certain temperature, starting the flow of water that’s in the line. Be aware of objects that could be inadvertent sources of heat on your sprinkler head, such as floor lamps that have a bright, hot bulb too close to the ceiling or space heaters that don’t have an automatic shutoff when the room reaches a certain temperature. We know that you’ve seen this in the movies, but most buildings do NOT have the kind of sprinkler system where triggering one sprinkler makes them all go off. Think twice before your dramatic getaway plan fizzles out in the anticlimactic event of one lame sprinkler head doing absolutely zero to stop your pursuers in your tracks. Humor aside, you shouldn’t ever intentionally trip a sprinkler head for any reason. You’ll end up footing the bill to clean up a big, wet mess. Do you just assume that your sprinklers will work in one of life’s most terrifying emergencies, or do you actually verify that they are in good working order? MLN Fire Protection is here to ensure that your building’s fire infrastructure is ready to do its job in the event that it’s needed. We will keep you compliant with fire codes, perform any needed maintenance and repairs, and install whatever you need to protect your building, equipment, archives, and people. Count on MLN for fire protection in Houston. To get started, ask for a quote today.